The market for laboratory analytical instruments in India is growing at a rapid pace owing to the increasing requirements for environmental monitoring and growing industrial needs. According to the India Analytical Instruments Market Forecast & Opportunities, the Indian market for analytical instruments is expected to grow annually by over 11 percent between 2013 and 2018. This means good business opportunities for exhibitors of analytica Anacon India and India Lab Expo 2016. India’s largest platform for the laboratory technology, analysis, biotechnology and diagnostics market takes place from October 20 to 22 at the Hitex Exhibition Center in Hyderabad. The trade fairs cover around 10,500 square meters of exhibition space spread across three halls. 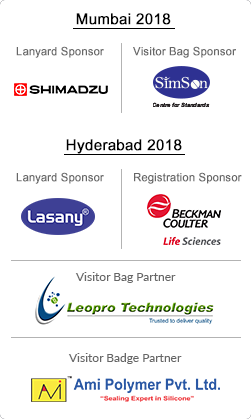 Key players such as Agilent Technologies, Art Lab, Inkarp Instruments, Labguard, Newtronic, Phenomenex India, Remi Instruments, S.V.Scientific, Sartorious, Shimadzu Analytical, Skytech Systems, Smart Labtech, Spinco Biotech, Tarsons and Waters India have already announced their participation. For the first time ever, the Indian trade fairs stage Live Labs. Following the model of the parent fair analytica in Germany, the Live Labs give manufacturers the opportunity to present their latest products and systems for the pharmaceutical industry in actual use. Further highlights are educational workshops on lab handling and live demonstrations on laboratory safety, where lab staff can learn how to prevent themselves from accidents. After its success in 2015 with over 350 participants, the buyer-seller forum will again bring together companies with potential clients. Besides, the analytica Anacon India and India Lab Expo conference gives insights on topics like analytical quality, environment analysis, food safety and pharmaceuticals. analytica Anacon India and India Lab Expo 2016 are supported by the Indian Analytical Instruments Association (IAIA), The Federation of Telangana and Andhra Pradesh Chambers of Commerce and Industry (FTAPCCI), Federation of the small and medium enterprises (FSME), Indian Drug Manufacturers’ Association (IDMA) and the Indian Chemical Council (ICC). In addition, the trade fairs will also feature international country pavilions from Europe and China.